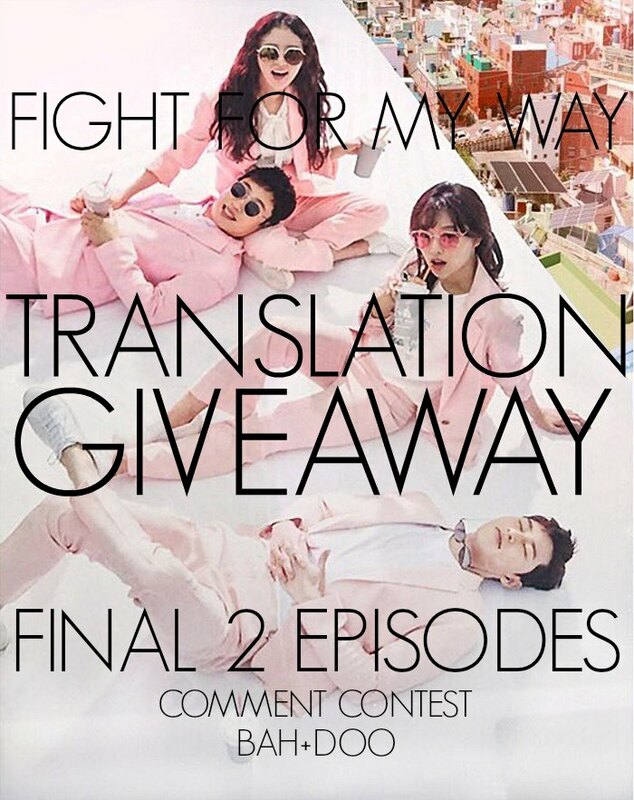 Home > Fight for My Way > Fight for My Way Translation Giveaway #2! Fight for My Way Translation Giveaway #2! What’s up, what’s up! We are doing another translation giveaway over here to celebrate the last two episodes of Fight for My Way. I am too sad to think about this show ending (or even the ending of episode 14, why so sad show????). So let’s cheer ourselves up with a giveaway! This giveaway will be just like the last one (comment based), only we’re not giving away as many this time. We went pretty crazy with giveaways last time. We were basically channeling Oprah (YOU get a translation and YOU get a translation and YOU get a translation ~). This time there will be two giveaways per episode and yes you can win twice. There is only one criteria for winning this time which is the best two comments on Episode 15 and the best two comments on episode 16. We luuuuuuv reading comments, so we want to read some good ones (or, you know, you can just say hi). 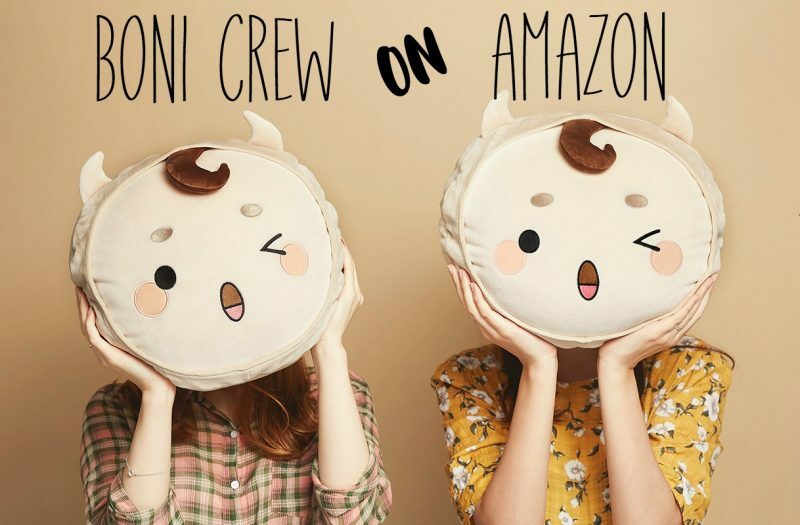 So, tell us why you like the show ~ tell us why you don’t like the show (actually, don’t tell us that) ~ tell us your theories on the last episode ~ tell us who your favorite character is ~ or your favorite couple ~ or you know, just say hi ~ . Really you can leave whatever kind of comment you want, we will probably love them either way. Up for grabs is up to 5 minutes of anything you want translated in a video and hard embedded, or any magazine interview (or article) you want translated. You can pick any artist you want, they don’t have to be Fight for My Way related. To get an idea of what we have done previously, just look at the Giveaway Queue on the right (or scroll to the bottom if you’re reading from a phone). We are almost done with all those translations, so we need some more to challenge ourselves with. Also, giveaway winners get priority on all requests. The giveaway starts as soon as the episode 15 post is up and continues when episode 16’s post goes up; it ends on Thursday night. The winners will be announced on Friday. Happy Commenting! Yay! Okay see you on Monday! Oh, I should add that you can tell us if you like the live recapping or not. We’re actually not too sure on if it going okay for everyone who reads along with us. If you have any suggestions on how to improve it, then let us know. I am so happy you are doing another one! Hahaha the Oprah statement was funny. Everybody get a translation LOL! But this giveaway is cool also. May the best or funniest or whatever comment win…challenge accepted.